I don’t know why but ActiceSync will NOT work out of the box with SBS 2003, for a long time I’ve just told my clients “it can’t be done”. However after the problem went off the boil for a while, it was the topic of conversation in the office, I did some searching and came up with a solution. You don’t need IMAP – you don’t need ISA server – you just need 5 minutes. 1. It may seem daft to say this, but you need to install and configure ActiveSync before you do anything, if its not set up it will never work with an iPhone! 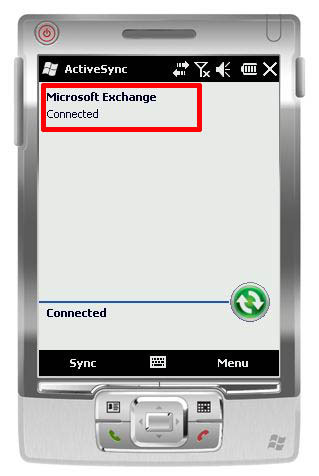 ActiveSync setup and tested with a Windows Mobile Device. 2. 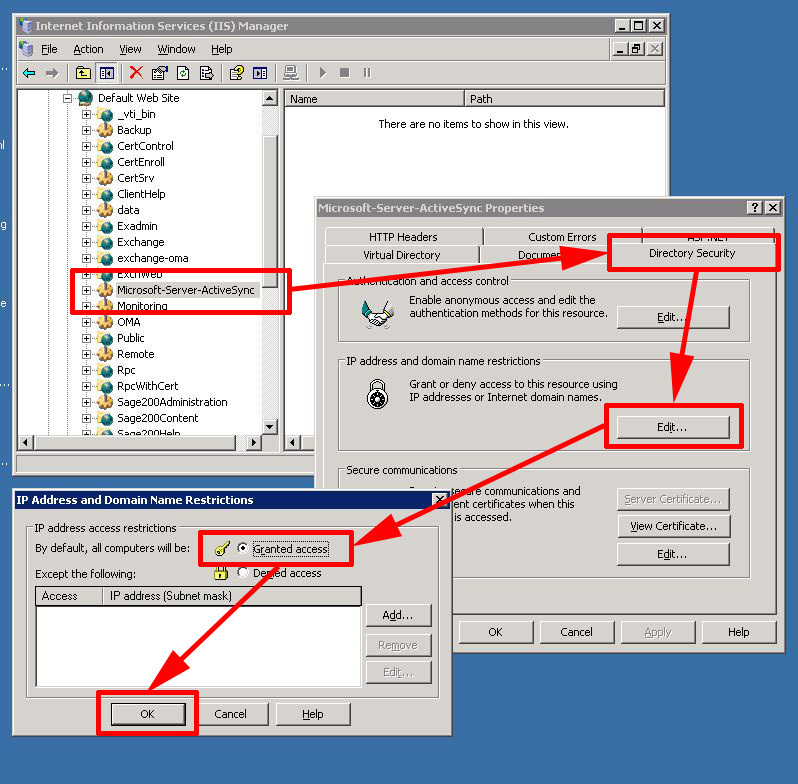 On the SBS Server, click Start > Administrative Tools > Internet Information Services (IIS) Manager > Expand Web Sites > Default Website > Locate the “Microsoft-Server-ActiveSync” folder >Right Click > Properties. 3. Select the “Directory Security” Tab > “IP address and domain name restrictions” section > Edit > Select “Granted access” > OK > Apply > OK.
4. Then either reboot the server, restart the IIS Admin service, or issue an “iisreset /noforce” command.